ReefPI ReefPI Where are we? Typical, the adafruit io site is down tonight!! LOL - sounds about right! For what it's worth, I will be starting on my arduino LED controller soon. Once that's done, more steps will follow, which will probably include RPi integration with database (update/access thru SQL) and internet accessibility, but I will be developing the individual arduino aspects first, before adding the overwatch (RPi role) so don't hold your breath! Hi Cornel, how are you doing? I'm all right, thanks. I think I have read you have another family member, congratulation. I think there was no progress at all since a very long time? Thanks for the congratulations, yes we've got girl number three! Nothing much has moved forward at all as far as I can see. I've been playing around a bit, but with no real direction. Okay, we can re-start it, that's not a problem. I think writing software for it was the biggest issue, what have you used in your attempts? I have had a look at them, interesting. Currently I don't have any aquarium to play with but should get one for this project. upgrading my arduino controller it has a reef angel script running the lights now. i have my 4 way-power timer & temperature sensor using esp8266 and node red on a raspberry pi. no i am not a programmer but i did hack up some examples to get it to work. working on the lighting now using another esp8266. sunrise,set,weather moon phase..
i am getting the weather http request in and parsed to the pi ,working on arduino code for esp 8266 lighting..
has anyone produced something yet, some user interface with some working modules? 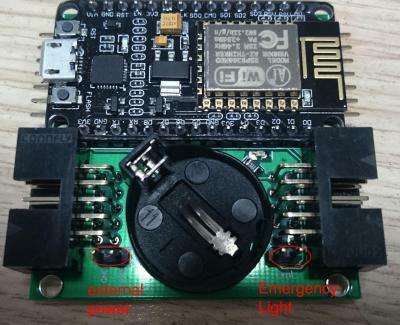 Ok i found a lighting controller that is going to work with my pi nodered setup i am using a nodemcu board and a PCA9685 now but will be getting one of those "pictured" from Basil from the russian RC site ..